Captain Diego Herrera is the commanding officer of the USS Vigilant. 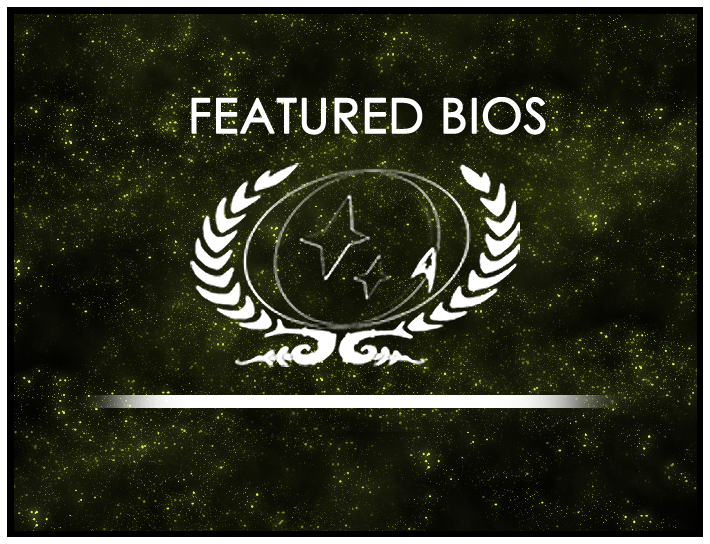 He dual majored in medicine and counselling at Starbase 118 Academy, and has served in both capacities throughout his Starfleet career, most notably on the USS Eagle, the USS Challenger-A, at the Duronis II Embassy and aboard the USS Thunder. Diego’s sister Adana is lucky to be alive; the accident that crippled her is the reason he originally joined StarFleet and pursued a medical career. Interestingly, he still plays the dangerous game that she was involved in when the accident happened. His career has given him many unique and unusual circumstances to deal with, such as sharing a salt bath with a visiting Mantaran Ambassador in his early days on the USS Eagle. He helped with the psychological recovery of Counselor Ashley Yael in the wake of torture and sexual assault on Duronis II. Diego has a laid-back and pragmatic attitude and this is reflected in his command style. He played a pivotal role and led his team to victory in preventing the Zakdorn breaking away from the Federation to form a new alliance with the Klingon Empire. Captain Diego Herrera’s bio will be displayed on the wiki’s front page for the month of March. As always, you can find out more about the contest at its wiki page or in its forum. Round 10 is now open, so be sure to drop by and submit your own nominations!